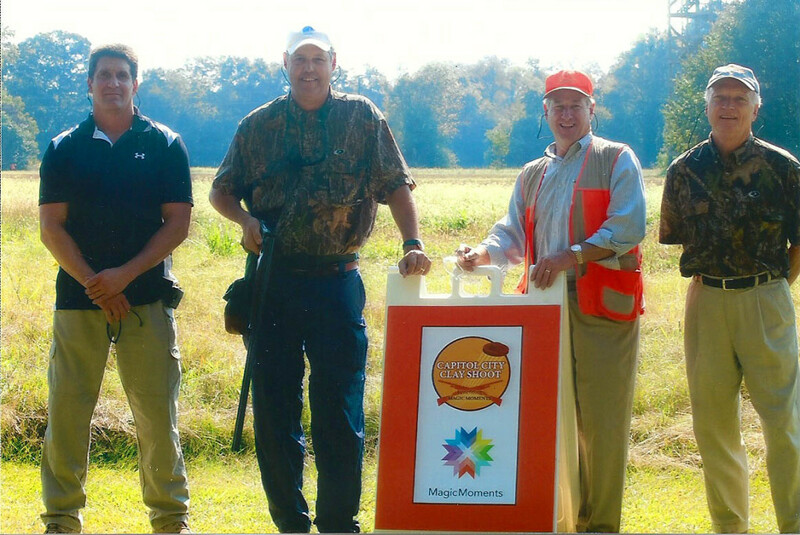 The 2013 Capitol City Clay Shoot benefiting Magic Moments was a success! The event was held at Lower Wetumpka Shotgun Sports Club on Friday, October 11, and all proceeds from the shoot benefited Alabama children diagnosed with serious illnesses. Events such as the Capitol City Clay Shoot are critical in raising funds that allow Magic Moments to fulfill children’s dreams and give these children a moment to simply be a care free kid again. The opportunity to be involved in fund raising for sponsoring these children is so rewarding, as is knowing the pure joy that fills these chronically ill children when they are recipients to their very own magic moment. Industrial Partners is thankful to partner with such an amazing organization as Magic Moments and be given the opportunity to help do for these children tha t are so deserving and appreciative.